This approx 107 acre property has lots of mixed use recreational, timberland with gravel road frontage. There is plenty of room to have lots of ATV trails! 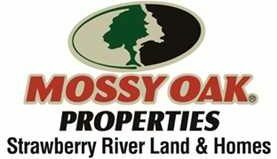 This property has lots of Mature whitetail deer, Big Tom turkey and some bear with a creek!! There is a Ridge that runs the top of this with some Beautiful Home Sites with Gorgeous Views! If your looking to possibly build your Dream Home but also have your Dream Hunting Property then here you go! There is an old someplace on the top with Lots of Mature Shade Trees and there is a Log Cabin on property but is falling down in back!! This property is less than 10 miles from Batesville, AR located in cushman, AR 72526, Independence County. Looking from the gravel road, which you have less than a mile of gravel, this property looks like just timber land but when you get on it, its BEAUTIFUL!! Give us a call at 870-897-0700 to view this property!